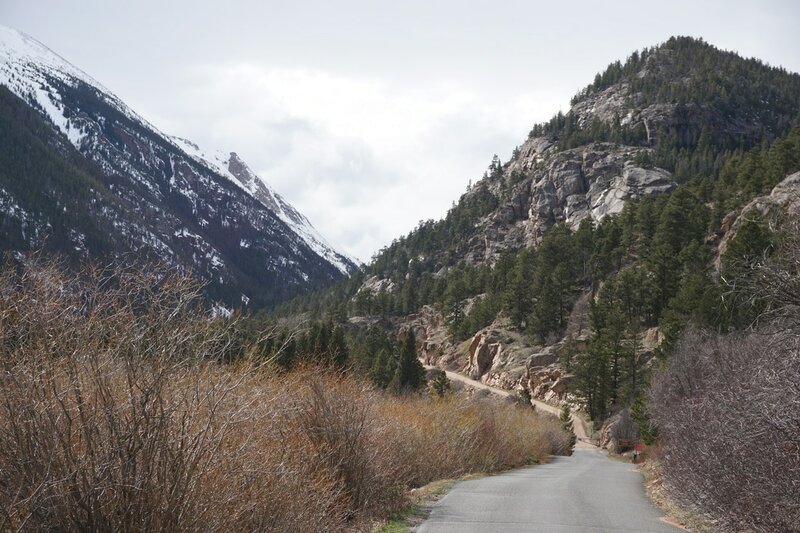 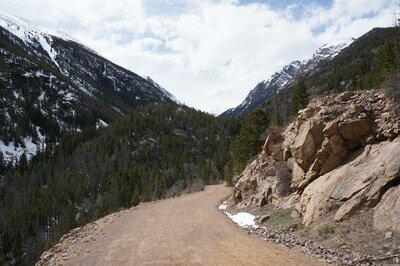 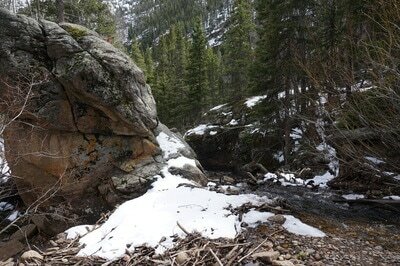 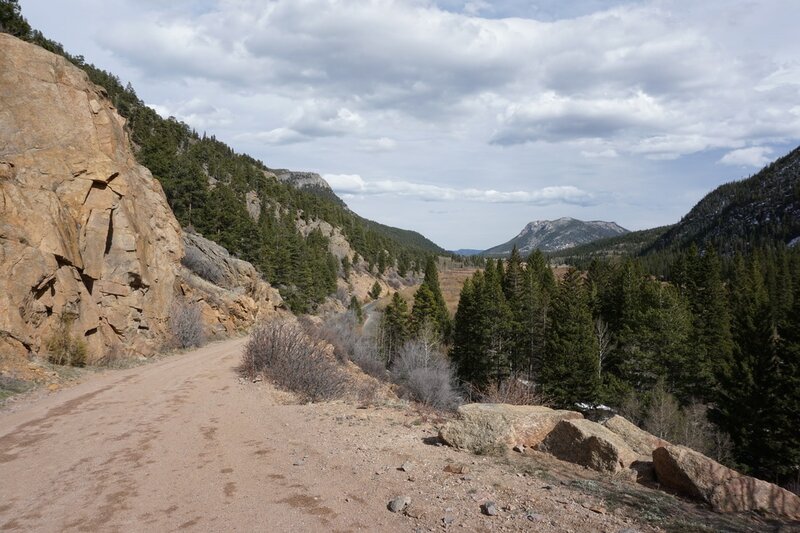 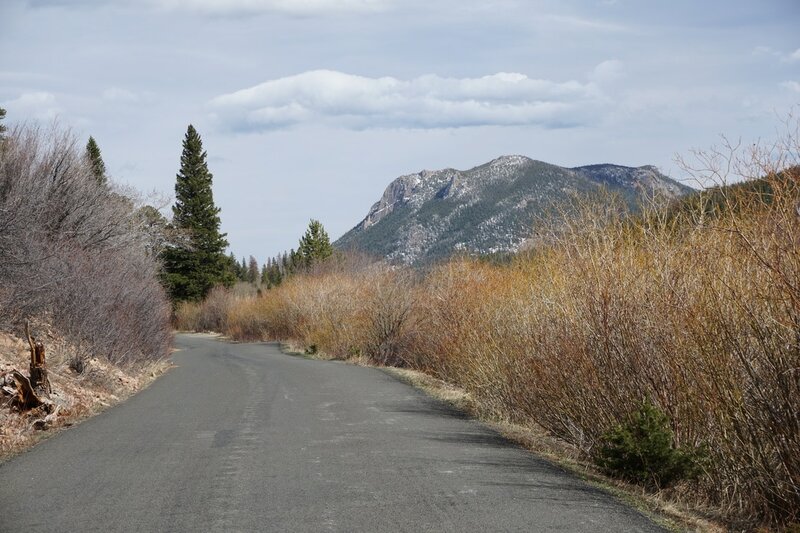 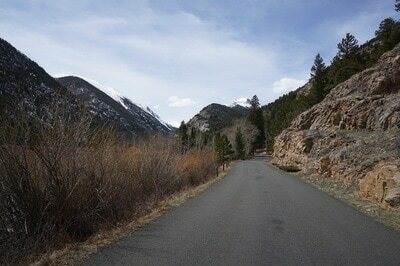 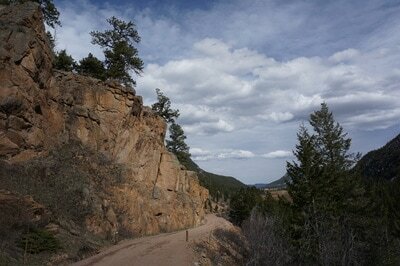 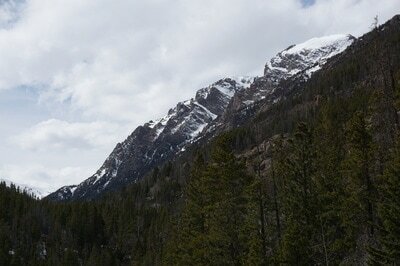 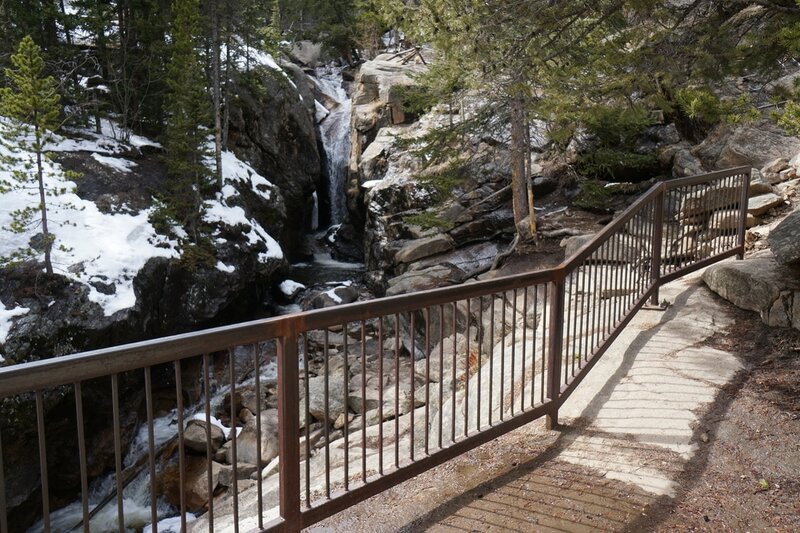 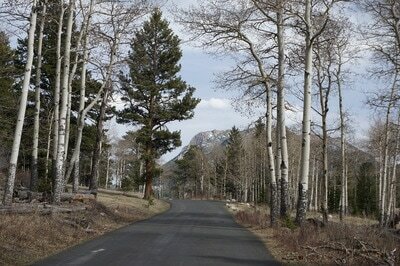 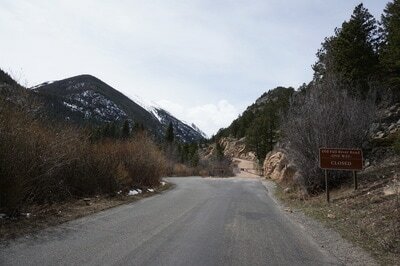 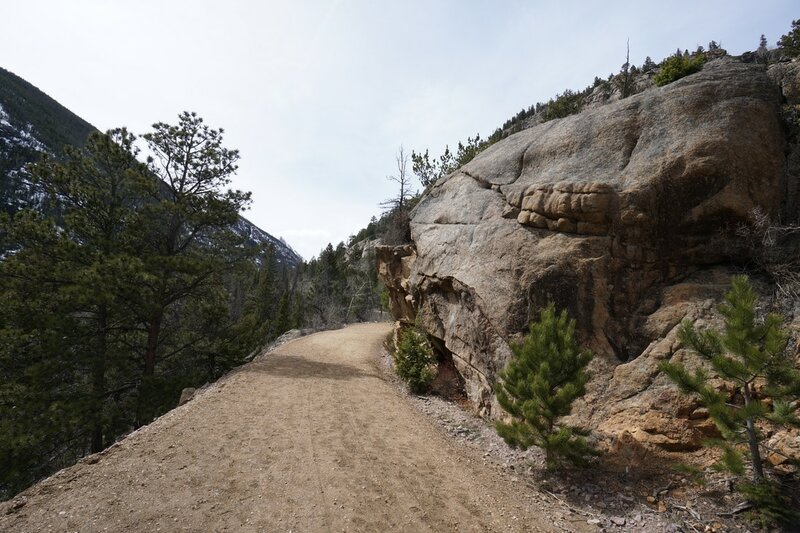 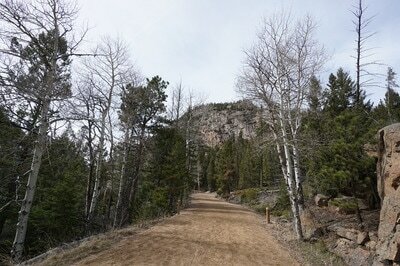 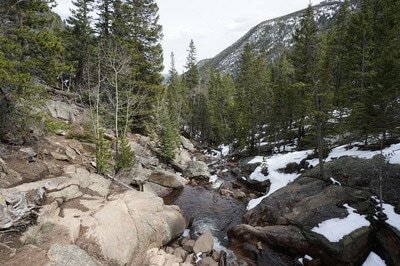 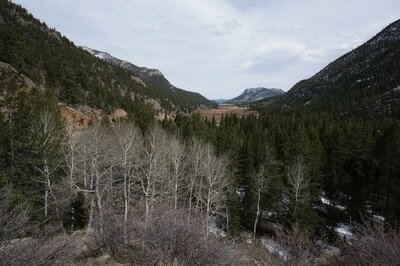 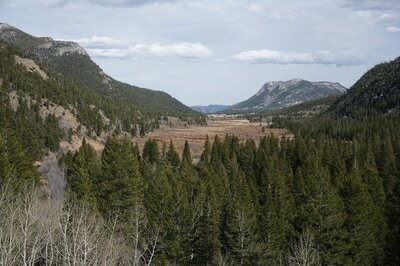 DIRECTIONS: Enter Rocky Mountain Park through the Fall River Road Entrance Gate. 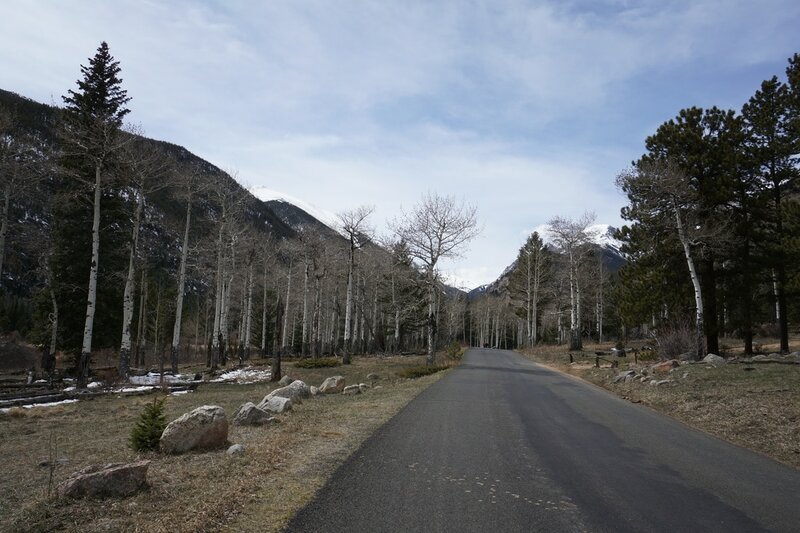 Follow US 34 Past the Sheep Lakes Pullout and turn right (west) at the sign for Old Fall River Road towards Endovalley Picnic Area & the Alluvial Fan. 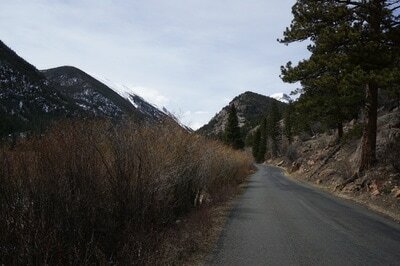 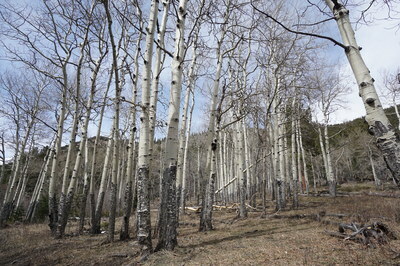 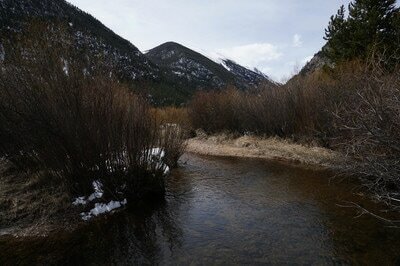 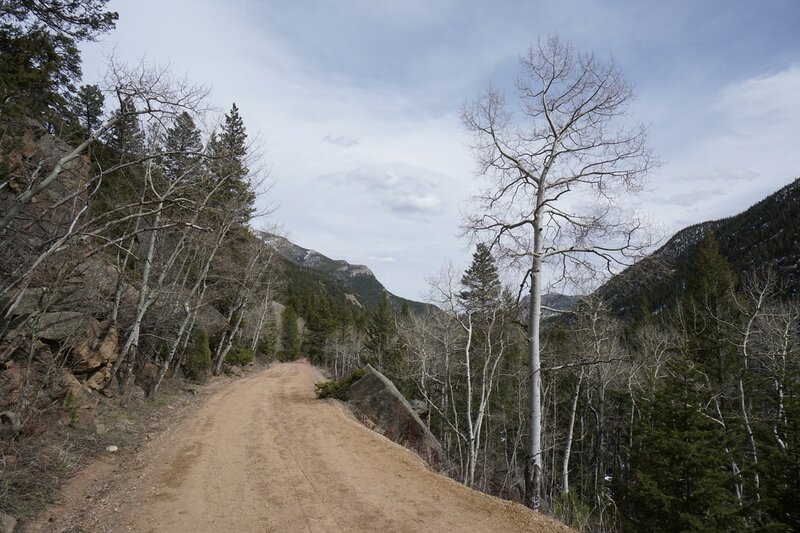 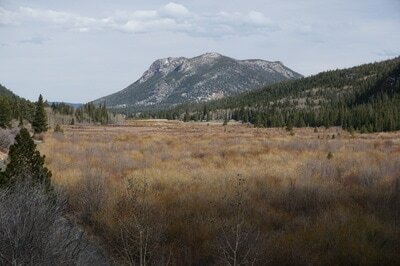 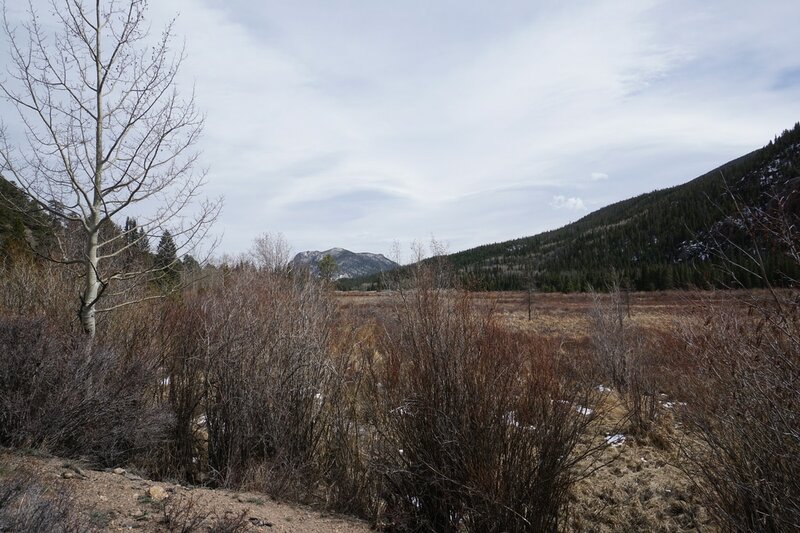 In the winter, park at the West Alluvial Fan Trailhead and continue west along the road past the winter gate. 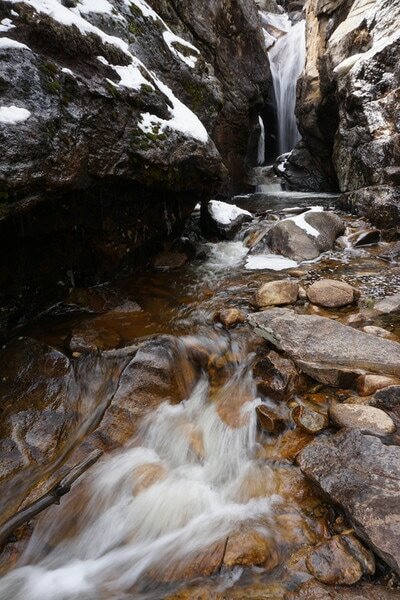 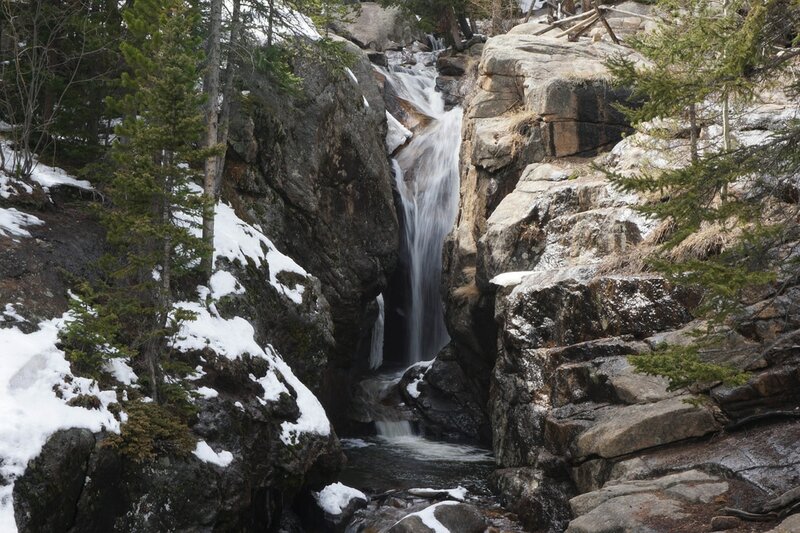 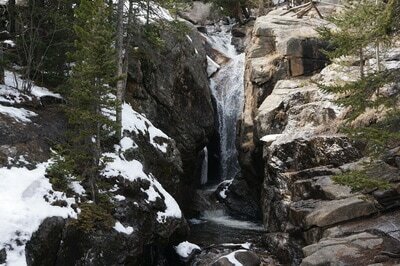 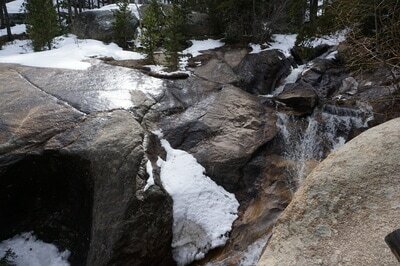 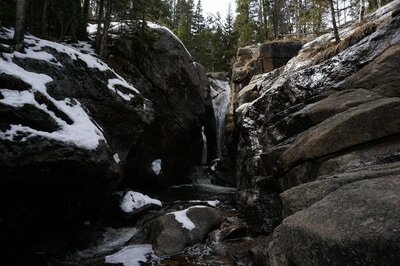 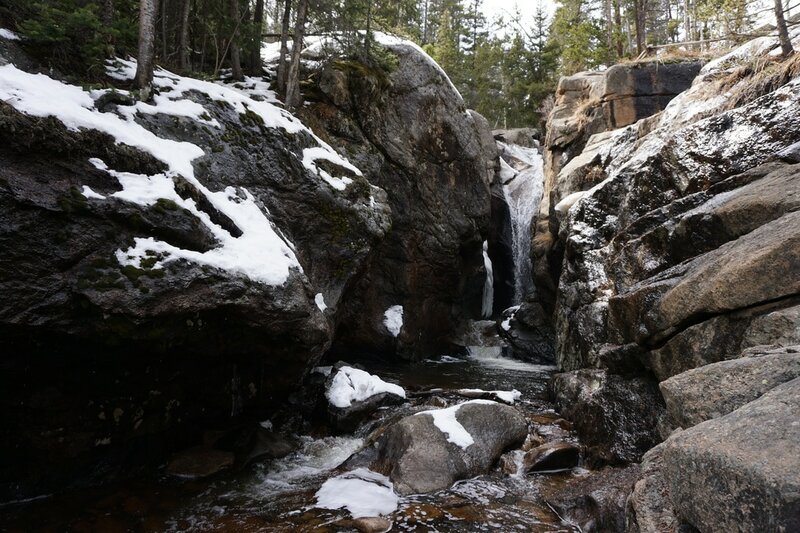 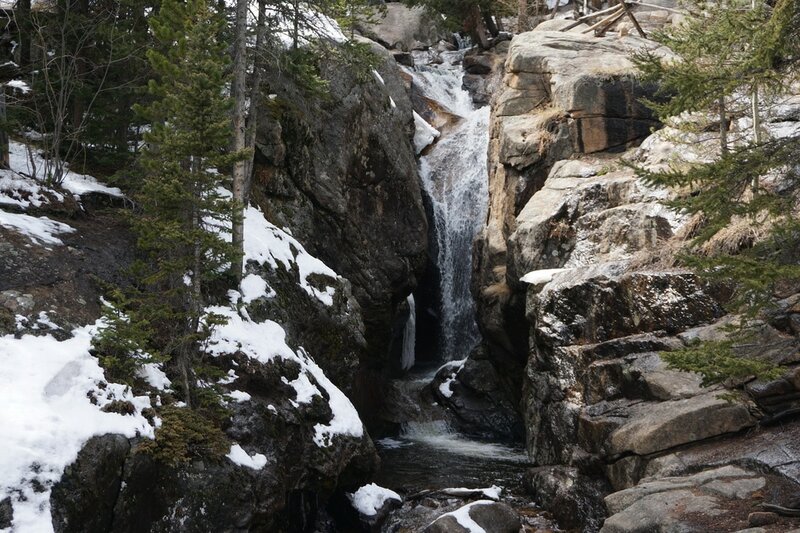 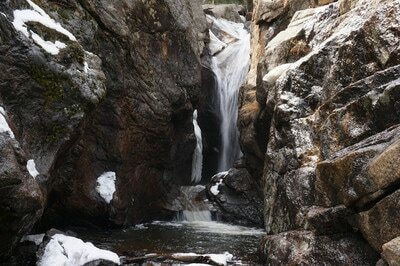 In the summer time, Chasm Falls is really just a stop along Old Fall River Road. 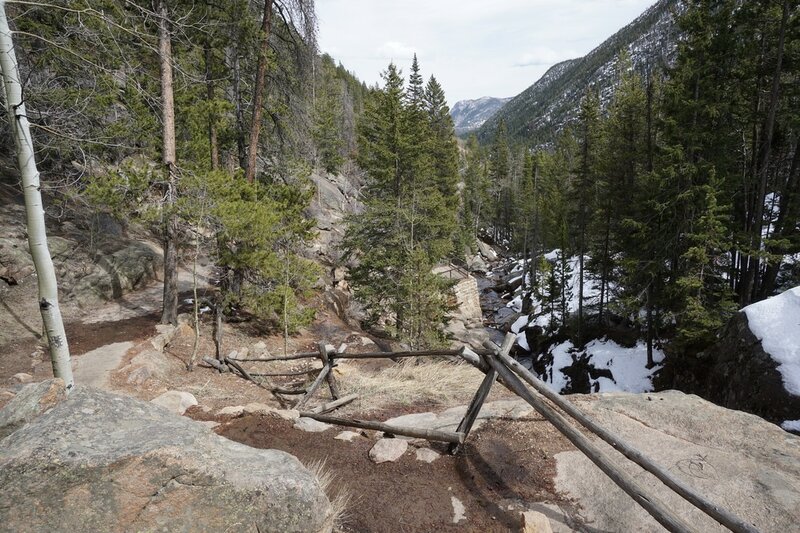 However, in the winter and early spring, Old Fall River Road is closed and getting to Chasm Falls turns into a pleasant 4.8 mi hike. The added mileage is worth it due to limited number of people that actually make it to the falls. 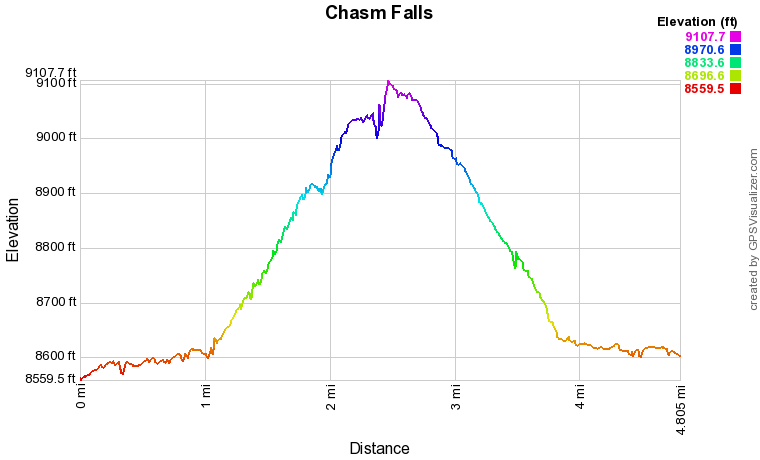 Having Chasm Falls to yourself is a rare treat. Note: In the summer, Old Fall River Road is one way. 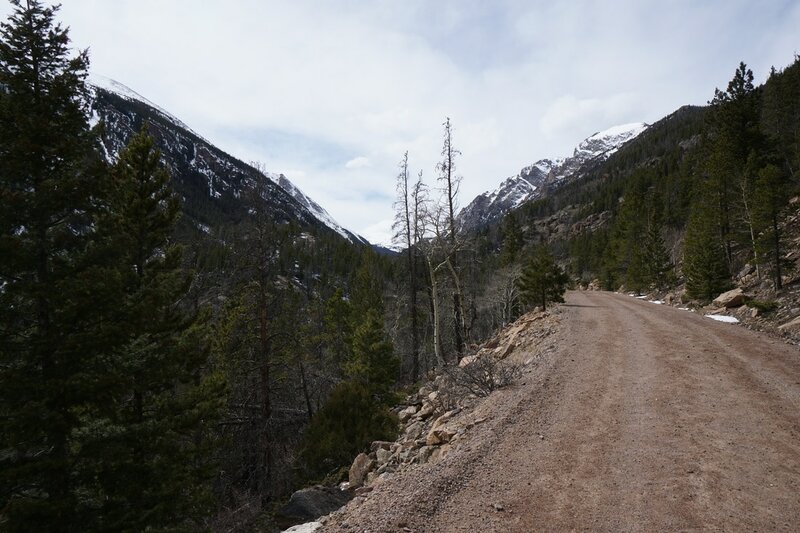 If you want to drive to Chasm Falls you need to commit to driving all the way to the trail ridge road visitor center at 11,700+ feet. 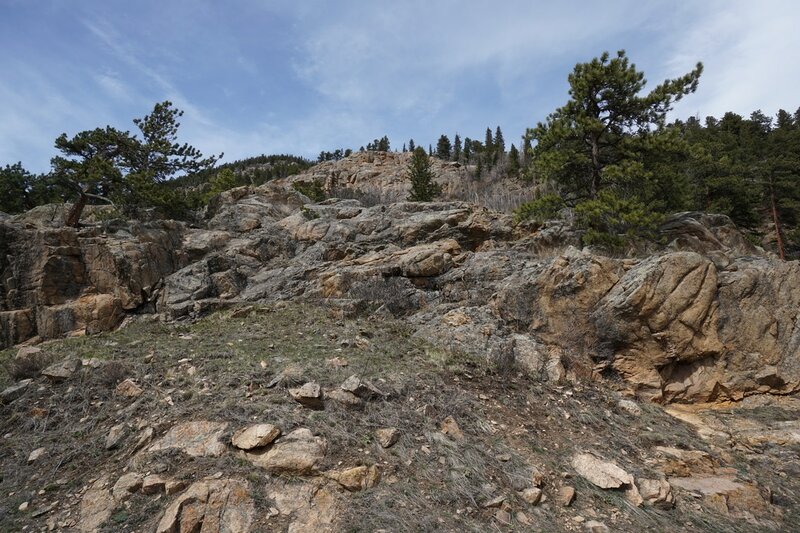 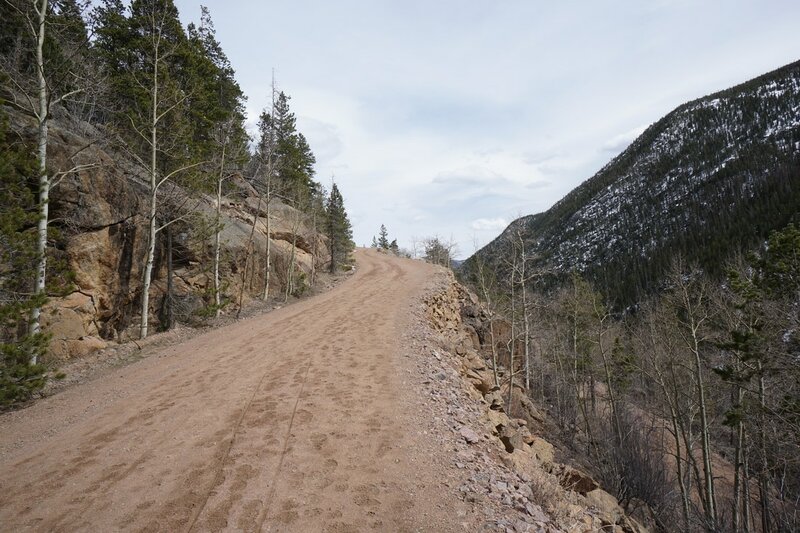 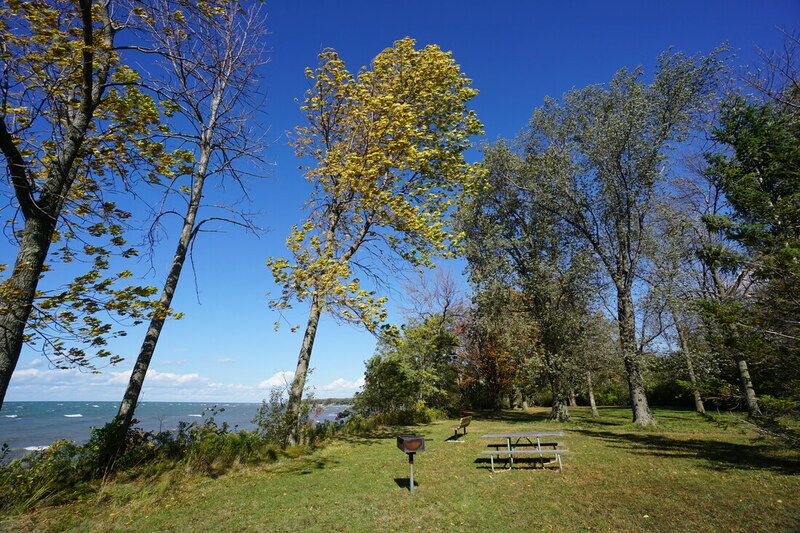 Click here for more info on driving Old Fall River Road. 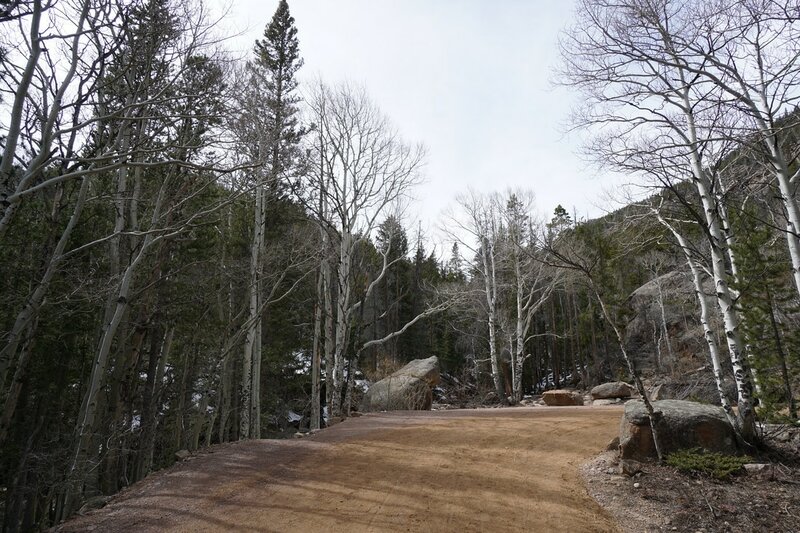 Park at the West Alluvial Fan parking area and walk around the winter closure gate. Continue on the paved road for 1 mile along the Fall River wetlands. 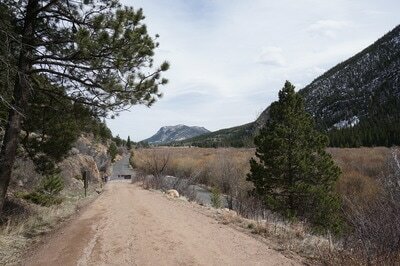 After one mile, there is another gate and the turn-off for the Endovalley Picnic Area. 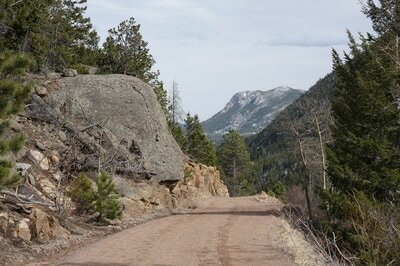 Pass by the gate and start hiking on the dirt road. 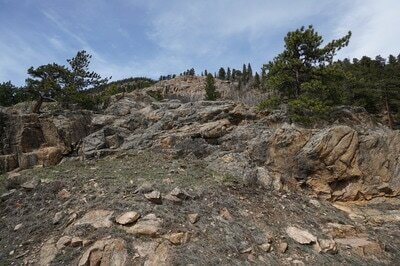 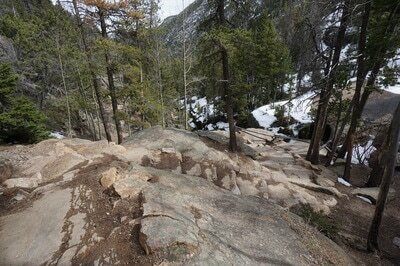 The hike gets significantly steeper here, but never too steep. After a mile of increasingly grand views, the road will switchback sharply. 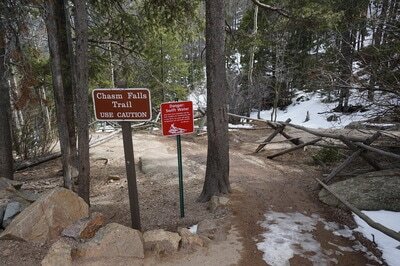 After the switchback you come to an obvious parking area and the Chasm Falls trailhead. At the Chasm Falls sign, turn right and head down the stone steps and slickrock for just a few minutes to the Chasm Falls viewing area. 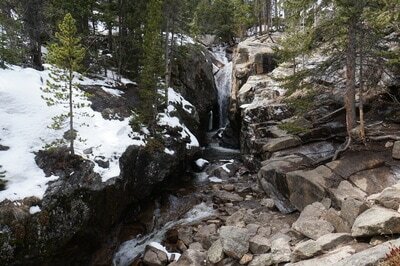 The impressive waterfall cuts a slot canyon through the rock and cascades down valley to Horseshoe park. 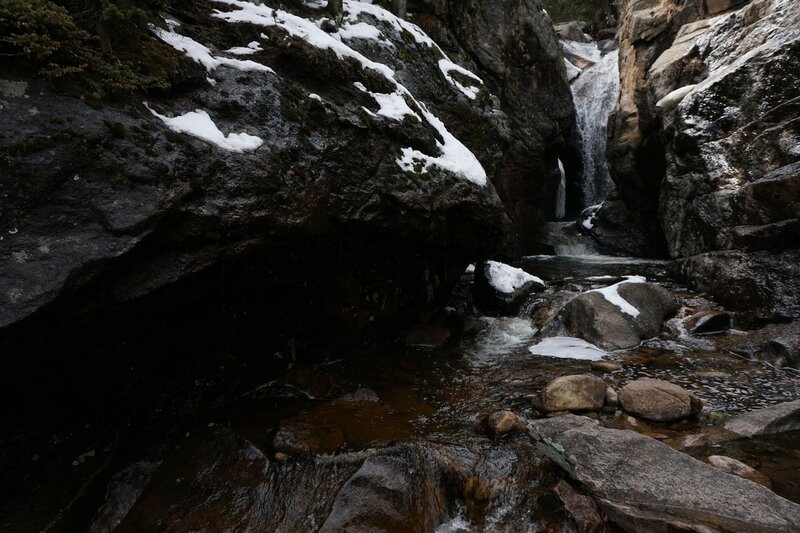 Return the same way you came. Even though 95% of this hike follows roads, the hike is a great resource in the winter time. 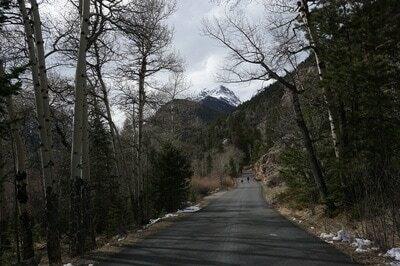 When the road is covered in snow, it makes for great snowshoeing or skiing. 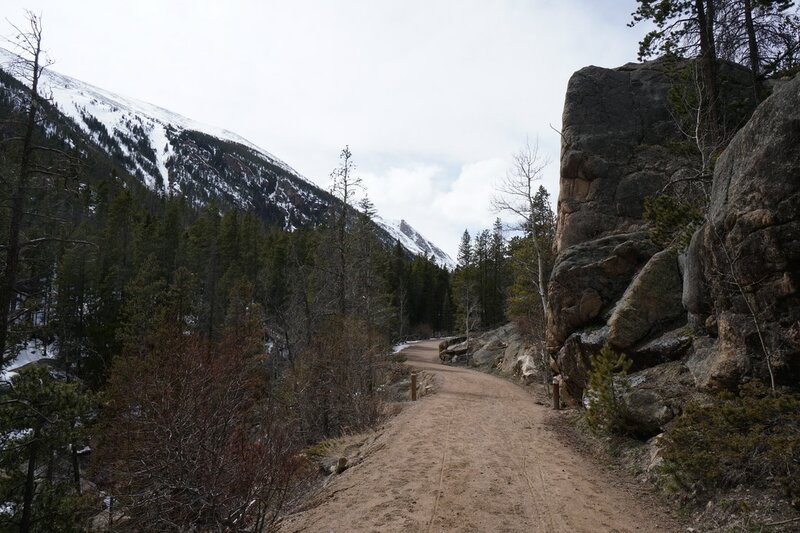 When the road is dry but still closed it makes for a relatively easy hike through a very scenic portion of the park...with fewer visitors.